12" overall. Wood handle. 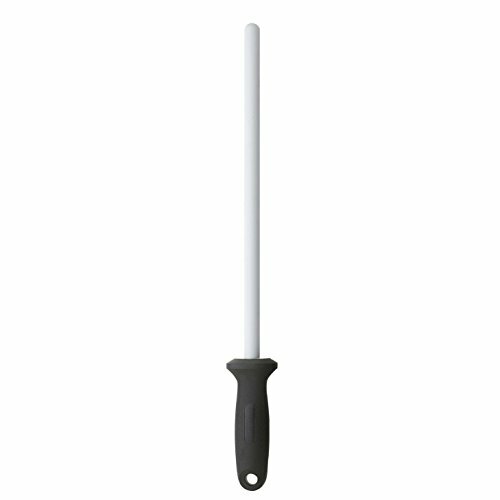 7" ceramic sharpening rod. Bulk packed. Knife sharpener with 1" diameter ceramic rod. Wood handle. 16" overall length. Bulk packed. The Cooks Standard Professional Ceramic Rod Knife Sharpening Steel, 12-Inch/30cm is made of high quality ceramic alumina that is harder than regular steel and prevents rusting. Rod length measure 12-inch/30cm and 5/8 inch diameter without handle which is long enough for professional use. Ceramic material is wear resistant and light weight for long use. Handle is designed for safety and comfortable to hold with a stainless steel guard cap and ring. Ceramic is hard, but not break resistant. Please do not drop on ground or hit on hard surface. Wash and brush after use with regular kitchen detergent/abrasive cleanser and sponge. 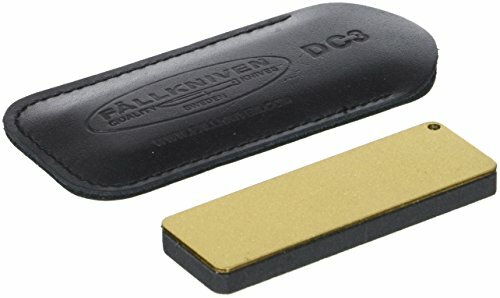 Fallkniven Combination Whetstone. One side is diamond the other ceramic. Measures 3" x 1". Comes in leather slip pouch. 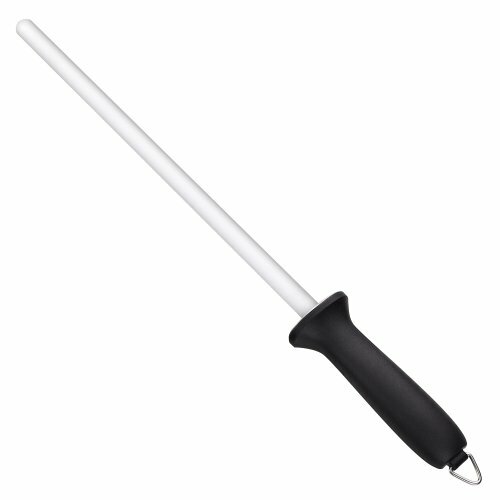 Pierre Bonnel Ceramic Rod Knife Sharpener 10.75" - Unique Anti-Breaking,Highly Durable Shock-Absorbing Technology Have a problem to properly sharp your knives? Still searching for high quality, safe and easy to use knife sharpener? Solve this problem with unique Pierre Bonnel Ceramic Rod Knife Sharpener and get your knives razor sharp Product Features: - Pierre Bonnel Ceramic Rod Knife Sharpener is made of high quality ceramic sharpening steel using special patented technology to increase its durability and resilience. You can easily get your knives super sharp with very fine edge on the blade. 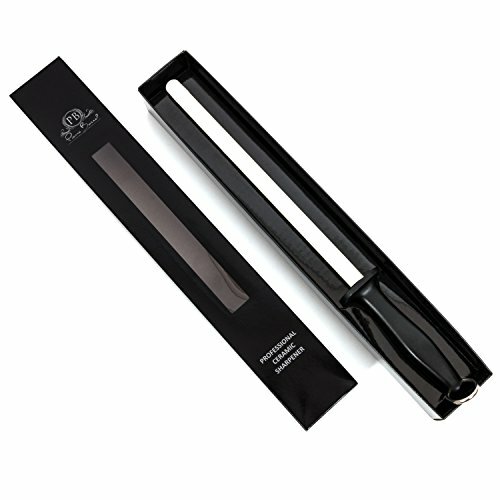 - Its ergonomic handle has been designed to provide maximum protection while sharpening. 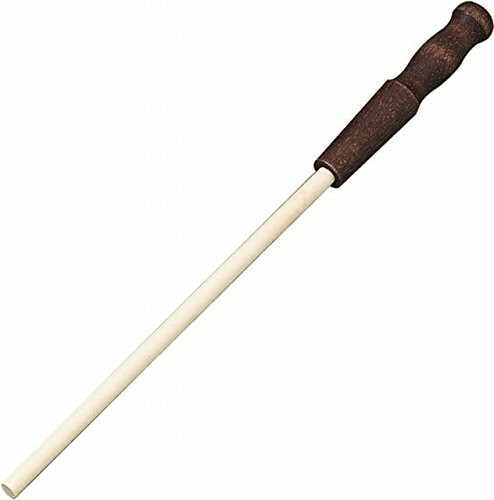 - The ceramic sharpening rod is 10.75" long with grit #1500 which makes it a perfect tool for knife sharpening. - If you search for perfect gift the Pierre Bonnel Ceramic Rod Knife Sharpener is exactly what you need. Premium quality product for great price, packed in black gift box with silver printing. - This handy tool is very easy to clean after using. Just use water with detergent and dry up with cloth. You can also use non-abrasive brush. click ADD TO CART button NOW and get your Pierre Bonnel Ceramic Rod Knife Sharpener. These extraordinary sharpeners are excellent for both novice and expert. Because the sharpener fixes the correct angle for maximum accuracy, virtually anyone can attain a razor edge on a knife. 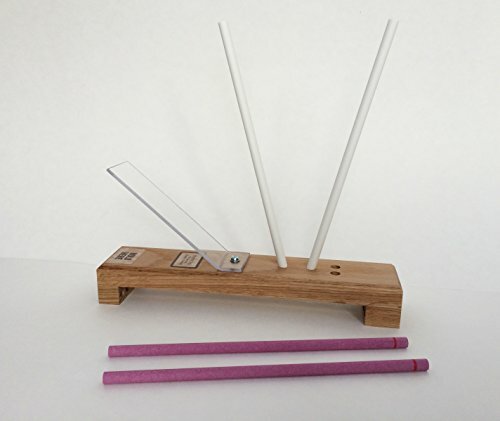 The sharpener is equipped with two sets of ceramic rods and two sets of honing angles. This model includes a hand guard and spring loaded rod storage under the base. Base made of solid oak. 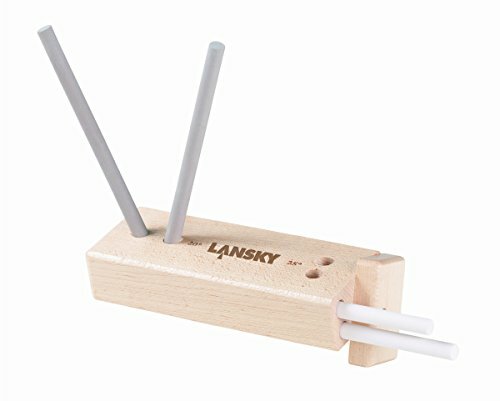 Looking for more Ceramic Sharpener similar ideas? Try to explore these searches: Aloe Cold Cream, Spot Vinyl Basketball, and Needle Case. Shopwion.com is the smartest way for comparison shopping: compare prices from most trusted leading online stores for best Ceramic Sharpener, Braves Youth Jersey, Keurig Chocolate Coffee, Sharpener Ceramic . 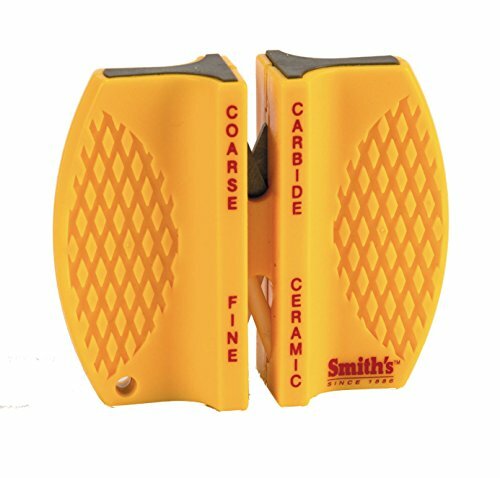 Don't miss this Ceramic Sharpener today, April 21, 2019 deals, updated daily.